Press seats with a great view of the opening ceremony. 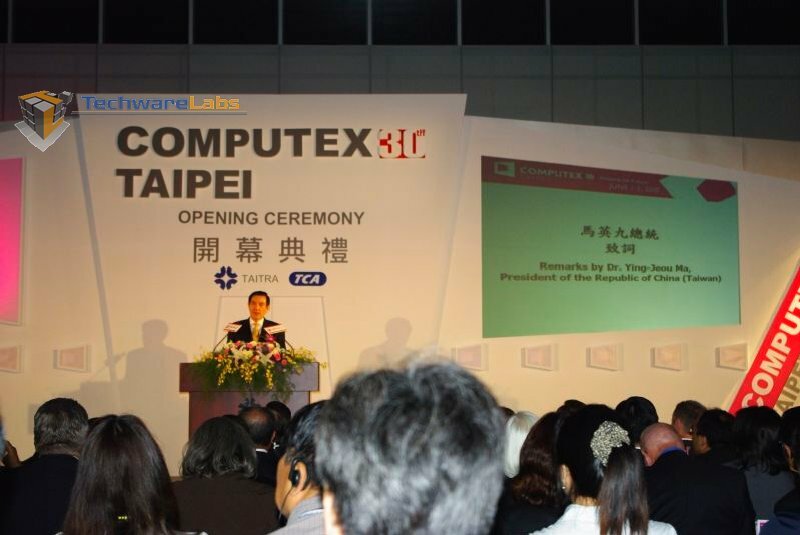 The opening ceremony for Computex 2010 was very exciting with the lineup of the who’s who of the Computex VIPs and one very special guess, the President of the Republic of China (Taiwan), Dr. Ying-Jeuou Ma. 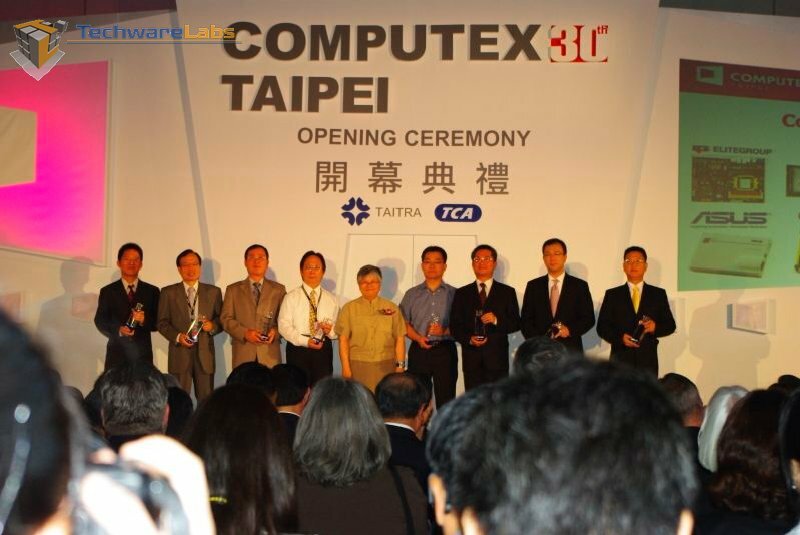 Several of the speeches included the success of Computex Taipei very successful history which has reached its now 30th anniversary. Other interesting facts included the note that even in the global economic slump, Computex 2010 has seen an 8% increase in the number of vendor booths since last year. The opening ceremony also included awards for the Best Choice awards in several areas. Most of the Opening ceremony included short speeches from the leaders of Computex convention which commented on the history and success of the show since the beginning and the exponential growth the show has been having over since its beginning some thirty years ago which has resulted in the second largest ICT conference in the world, second to Cebit which is held in Germany. One of several Best Choice awards categories. The compilation of the awards for Best Choice in the respective categories resulted in 27 winners of over 400 contesting products which included such companies as ASUSTeK, MSI, Acer, AVerMedia, Realtek, Advantech, Getac, Intel, NVIDIA to name a few. The judging which was done of the 400 products is pretty elaborate in order to give every product a fair chance at winning an award. 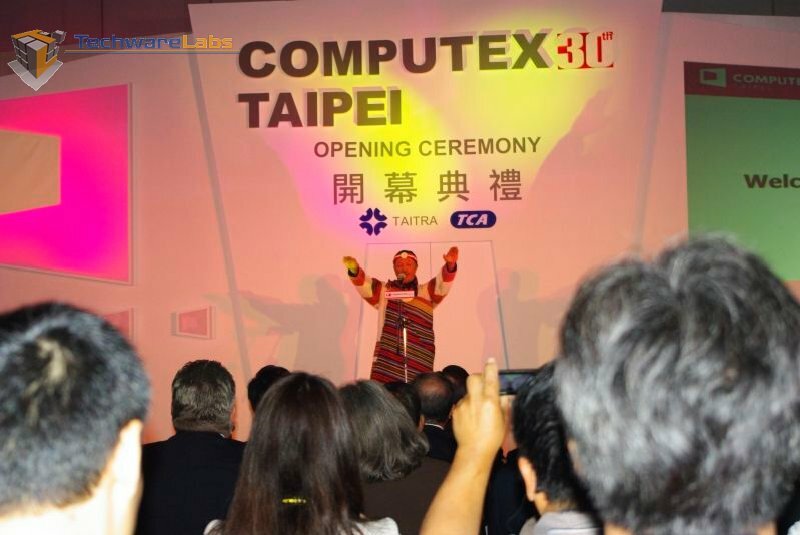 President of the Republic of China (Tiawan) Computex turns 30 years young. 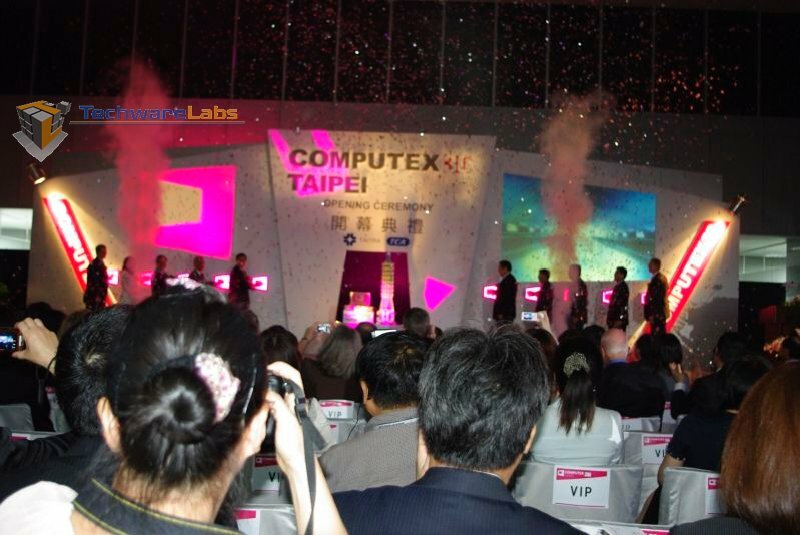 With who’s who of Computex 2010, the mayor of Taipei and the President of the republic of Chine (Taipei), the celebration of the Computex 30th anniversary with the rain of glitter cannons and light show. Congratulations Computex, on your 30th year!! Here is the video of the President’s speech, bring a translator as he spoke entirely in Mandarin.